The first phase of the Buy-A-Brick project has been completed! Thanks to a generous $71,000 donation from the Harris-Stowe State University Alumni Association and the contributions of Harris-Stowe alumni and friends, the first bricks have been laid in front of the main entrance of the Dr. Henry Givens Jr. Administration Building. 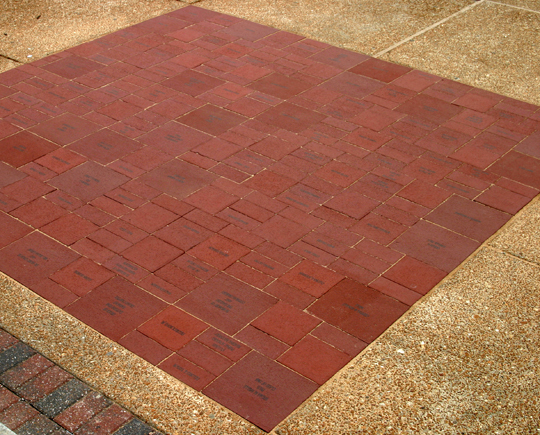 You do not have to be an alumnus to buy a brick. You don’t even have to buy the brick for yourself. This is an excellent way to honor a friend or loved one — parent, child, favorite teacher or anyone to whom you would like to give a permanent place in history. Groups can purchase a brick as well. 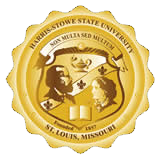 Don’t miss this chance to ensure that you, or someone you care about, will have a lasting memorial on the new Harris-Stowe State University campus. In addition to the $71,000 from the Alumni Association, Dr. Wilma Wells donated $10,000, and the Danforth Foundation, of which she is Vice President, matched her generous contribution. We need your help to meet our goal. If your employer, or your spouse's employer, has a Matching Gift program, you may be able to double or even triple your donation. You can download a copy of the Buy-A-Brick Campaign form here (Buy-A-Brick Application). Just fill out the form and send your contribution or pledge to the HSSU Alumni Office at 3026 Laclede Ave., Room 110, St. Louis, MO 63103.